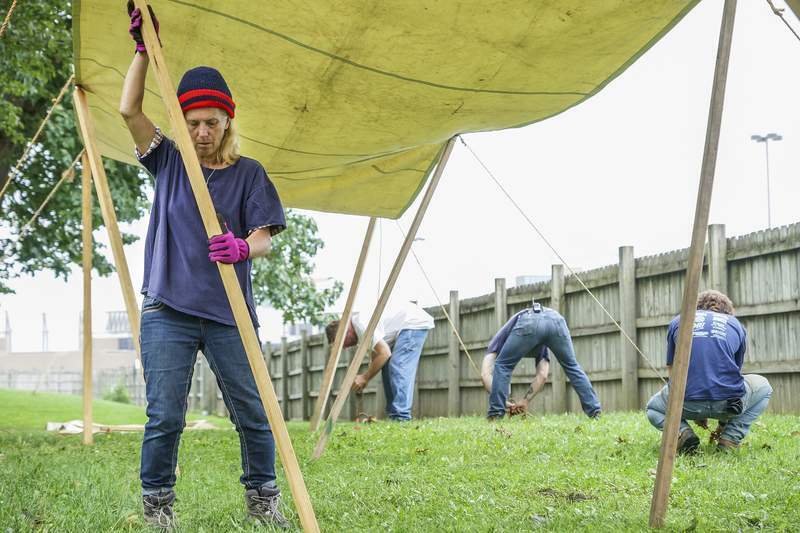 Mike Moore | The Journal Gazette Mickieann Suder, an employee with Coliseum Productions, helps set up rain flies next to Memorial Coliseum for the Johnny Appleseed Festival. The free 44th annual event features period re-enactors, artists, music and food. Hours are 10 a.m. to 6 p.m. Saturday and 10 a.m. to 5 p.m. Sunday.